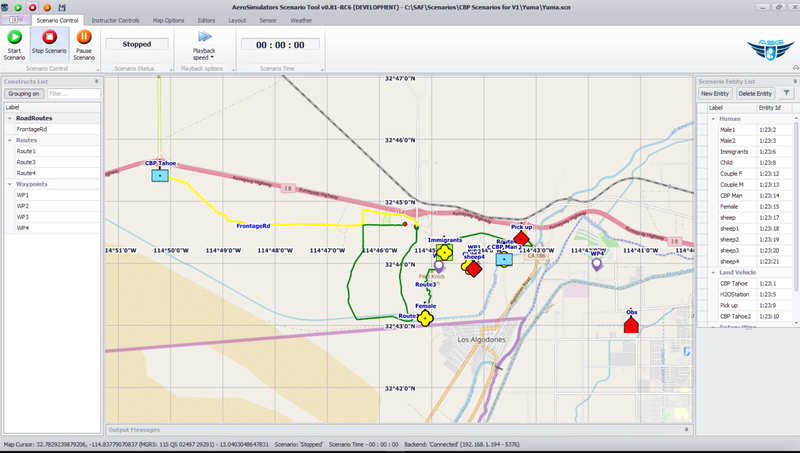 ASG’s proprietary Semi-Automated Forces (SAF) software is a powerful programme for managing the synthetic environment/battlespace. The SAF allows the control and operation of other ASG simulation products such as our combined sensor suite (Radar, EW, ELINT, COMINT, ASW, EO/IR and Tactical Officer Station) for whole crew training, or other third-party software. Providing the customer with complete control over the scenario construction, operating areas and entities, the SAF allows for bespoke training sorties representative of the Customer’s real-world operations. At the heart of ASG’s synthetic environment, SAF software is designed to allow the operator to create and control training scenarios with ease, using an intuitive click-and-drag interface. 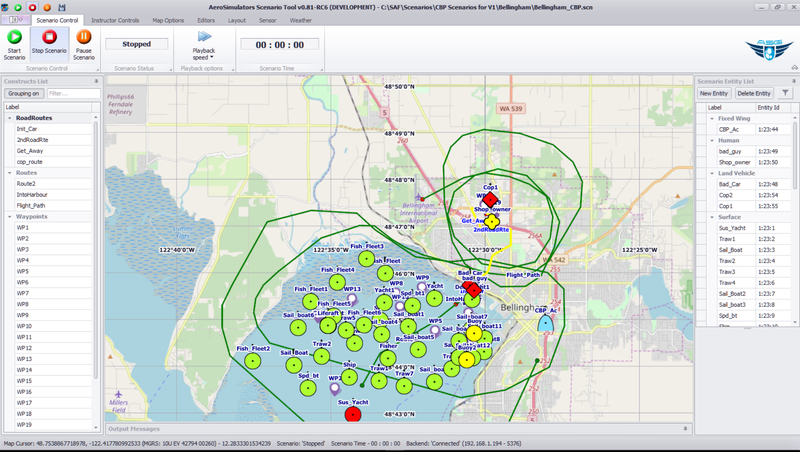 The SAF uses Distributed Interactive Simulation (DIS) to pass entity information around a network to other DIS enabled simulations. This allows the SAF to be used as a stand-alone capability and to interact with other ASG proprietary simulators or third-party software and is of particular value as an easy-to-use instructor station for the development and control of scenarios and environment. 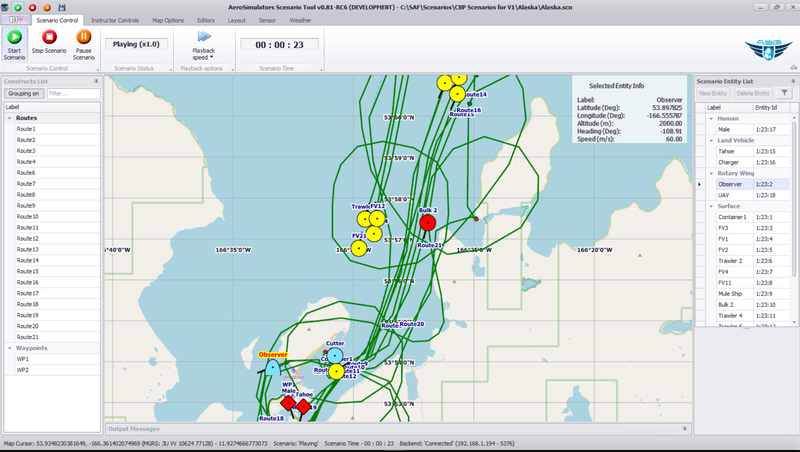 The following illustrates various examples of SAF missions and scenarios using routes and waypoints to control the entities (people, vehicles, ships, etc.). The entities use standard NATO-based icons with a configurable “affiliation” (friendly, hostile, neutral, unknown). Once placed in the scenario, the entities will follow plans, or can be dynamically controlled by the instructor in real-time to achieve specific learning objectives. Brief: A border patrol mission. Brief: A mission to monitor and track a people smuggling operation. Brief: A mission to track and intercept a suspected maritime drug smuggling operation. Brief: A mission to monitor suspected illegal drug activity, including transfer from boat to building via ground vehicles. 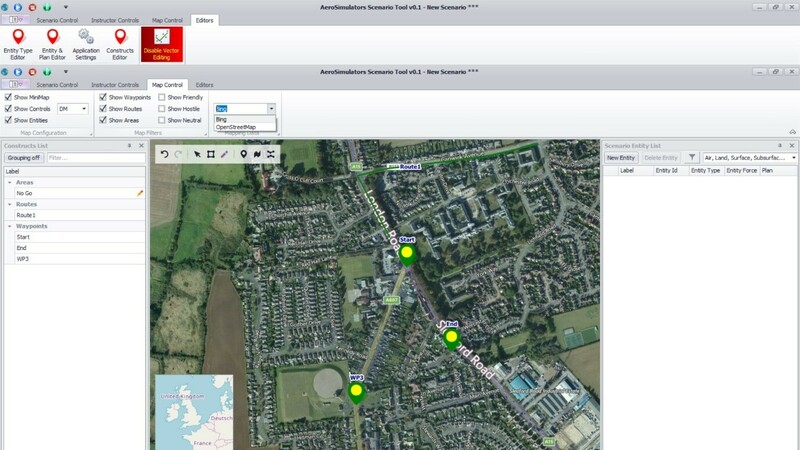 Brief: Use of satellite imagery overlays assists in scenario construction.